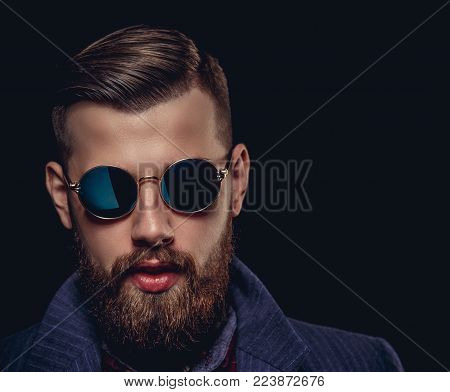 sunglasses › Buy Poster of Portrait of bearded man in sunglasses. Isolated on black background. Poster of Portrait of bearded man in sunglasses. Isolated on black background.